A lot of us Hyun Joong fans are still smarting and hurting after reading Rachael Boon's article about him. Of course I can't resist saying something about it here ...it's possible she's prejudiced and have negative preconception about Hyun Joong...so she can't write an unbiased account about him. I don't know much about the code of Journalistic, but I thought that principle of truthfulness, accuracy, objectivity, impartiality, fairness and public accountability were involved. And what happened to the fact that a journalist should avoid stereotyping by race, gender, age, religion, ethnicity, geography, sexual orientation, disability, physical appearance or social status ?? Oh well, if you're curious you could click HERE to read the article. I'm sad that Jakarta post put this article in their column. The title is : Korean idol plays it safe [ I guess she's talking about playing it safe in answering questions hehehe...]. And this : Forget about him speaking out in support of fellow entertainers in South Korean show business who have been harassed. Also this : Questions about Open World Entertainment CEO Jang Seok Woo, who is being investigated for alleged charges of sexual harassment, were all crossed out. Are these questions relevant ?, I mean...isn't she interviewing him in connection to his coming FM in Singapore ? Why is she digging up dirt on K-entertainment ? It doesn't take a genius to know why these questions were refused. Not to forget this one, just dripping with sarcasm : He sure works hard for his money, er, sorry, we mean his fans. And this ...Few things please him more than when his feelings align with his fans' desires. And if that's not enough, with her wording and strategically placed punctuations [attention to : "actively", (smile) etc]...she manages to convey that all his words and actions are shallow and meaningless. Oh well....take heart Henecians and Triple S-es, specially Singapore and Indonesian fans...never mind her ! Hyun Joong and us have been through worse than this. Just let your anger flare and pass on....it's not worthed, lets put our energy into something positive, like participating in KHJ fan club charity programs and the like. There's something I want to say about KHJ's fans in Singapore : Singaporeans KHJ fans are THE BEST !! 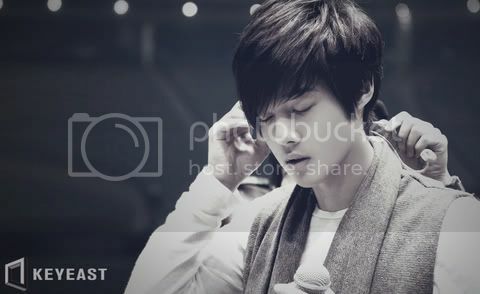 I know...as I'm a proud member of LKHJ...lovekimhyunjoong.com, I'm very happy to be a member still...even though I mostly just lurk around :) Thanks for taking me in girls....good luck for KHJ's FM !! Hmm...my anger has flared [witness this post] and I'm passing onto happier things...like imagining going to KHJ's FM here...oh boy !! myoce : I think this reporter is smart and has made KHJ really comfortable ... KHJ spoke truthfully about his abilities...shows he knows his skill and limitations well ....he is not exaggerating anything. Note that the reporter wrote in (laugh) without making it sound derisive. Q2: Do you believe that you have grown up in music through this album? KHJ: Yes, I feel that I could have made improvement during this album production. I made my best efforts in vocal lessons to change myself. Though there are still many things to be improved, I feel that I could have changed the tone of my voice. Q3: The 2nd mini-album, “Lucky “ includes a few pieces of ballad. KHJ: As I knew that people expected me to sing a ballad, I added them in the current album (laugh). In order to give a sense of stability in [the] tone of the ballad, I especially focused on this to show how I had changed. I hope that everyone like them. how do you think of “Lucky” ? KHJ: To be honest with you, “Lucky” is better than “Break Down”. Q5: You produced the 2nd mini-album in four months after the release of “Break Down”.You seemed to have really worked hard to produce your album with such a short interval. KHJ: Exactly! I really worked non-stop. I have been working hard without taking any rest till now. The current reaction from people itself is amazing for me because I thought in a different way. I felt that I was too late to release an album. I wanted to meet with my fans through my music as soon as possible. This feeling was overwhelming in myself. I wanted to deliver good songs to them. Therefore, I will continue to produce a single album constantly to see my fans. Q6: Do you mean that you would release your album frequently? KHJ: True enough. Being a member of SS501, I released only one full-album. From my viewpoint, there is no point in differenciating a mini-album from a full-album. I will just count my album as the first, the second, and so on. Q7: Could you explain about the title truck of “Lucky” album? KHJ: The basic sound of the title track consists of a rhythmical electric guitar and brass rock’n’roll band music. It’s a funky rock. As I was involved from the planning, concept, ideas, and overall production, I am very attached to this album. Q8: What kind of music do you want to create ? KHJ: The music I am really interested in is a band music. 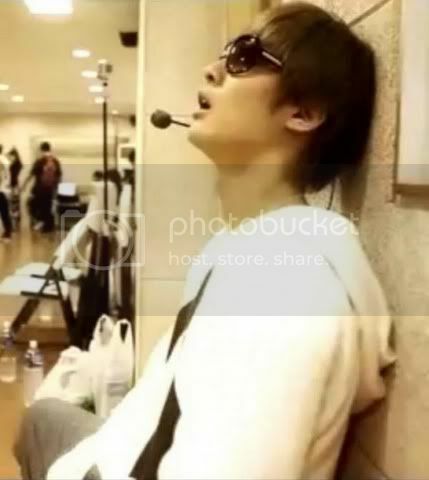 Before I joined SS501, I loved rock’n’roll music. When I was a high-school student, I was playing (a guitar) in the rock band. I would like to learn more about music so that I will be able to be confident. For me, it is music that I can get along with till the end of my life. Q9: Could you tell us more details about “band music” which you are interested in ? KHJ: The genre I am much interested in is “club music”, but I also think that “band music” is exciting as well. That is why I introduced a real drum sounds in my album. The real sound of the musical instruments increases the “loose feeling “ in music. The sound of guitar was used to aim to add “dry and rough “ touch in the music. I love such taste. In addition to that, I wanted to show that we could dance with a band music. The choreography accentuated the dancing as well. Q10 Could you tell me about episodes during the recording, if any ? Q11: Finally, could you tell us your plan as artist ? KHJ: I just want to create a good album. In the far distant future, on the occasion of my retirement as dance-music singer, I would like to invite my fans to the concert and show the best (unsurpassable ) live. I can stand here thanks to the warm support from all of my fans. I would like to convey my appreciation to the fans as much as possible. Hah, that Rachel whatever must be an Anti-fan disguising as a reporter!!!! How can Jakarta Post post such rubbish?!! Myoce, you should write protest letter to them. You mess with KHJ you mess with the great hordes of his fans every where on this planet!!! Y'know I read other articles by her and this is by far the most biased of them all. I could go on and on about this, so better stop here. I think what she meant to imply with her disgusting phrase: : "e-mail interview that is the equivalent of an anatomically correct Ken doll" is that KHJ lacked the balls to answer her supposedly difficult questions. Because as you know Ken dolls don't have the male parts attached. So basically she was saying he was a coward because he chose to not answer some of her stupid questions. As far as I'm concerned, she's just a jealous woman who is bitter because she didn't have her way with the interview and is looking for her 15 minutes of (negative) fame. How gross...I didn't know that! Y'know, Barbie and Ken might be popular in The States and other western countries, but here in Indonesia [and other Asian countries, maybe] Ken is not well known. Barbies are popular tho.. Anyway...thanks for your eye opening comment, so her article is worse than I thought. I got the "coward" part from the title...."play it safe". But my blood boiled when I saw the word "Doll"! There's soooo many people putting down KHJ coz of his look... attributing 100% of his success to it....assuming that good looks equals no brain..etc..etc.. so that word really got me going !!! The "anatomically correct" phrase just went over my head cos of my ignorance of Ken dolls !! I guess the article can be interpreted in different ways by different people...all of them negative interpretations! Yes....shame on her! this is not a professional piece of journalism. it's a bashing !! !